John Rebecca Park is a working project name based on the site's location at the corner of . The site currently operates as a surface parking area. Once planned and built as a public open space it will be given a park name. This location is currently a surface parking lot. 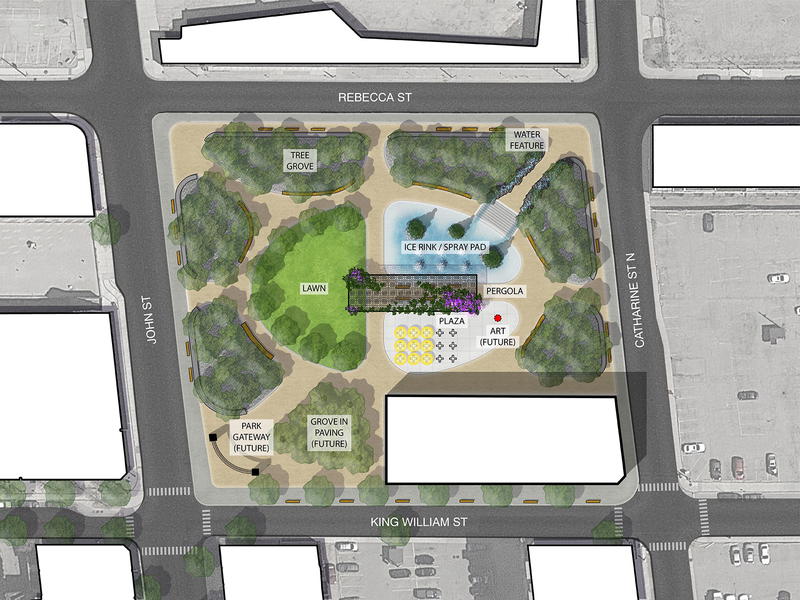 It will be redeveloped into a park to make downtown living more attractive and promote downtown revitalization. Development of the site is under consideration along with the review of the Downtown Secondary Plan. Fill out the John Rebecca Park public survey.